OF YOUR LIFE? DO IT PAIN FREE! Click HERE to register for a FREE consultation and measurement analysis to start your enrollment in one of our programs! Or call our office at 212-750- 3696. 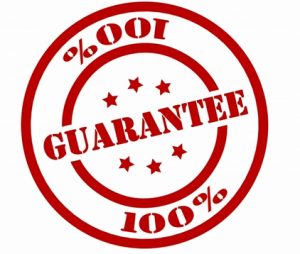 Because We Guarantee Your Satisfaction! That’s a bold claim. How do I back it up? 1) We work with you until all your questions are answered or problems are solved. 2) We motivate you with scientific knowledge and skills. 3) Receive an in-depth, strategy after your body analysis, measurement analysis and interview. Take the guesswork out what will work for your body to gain efficient movement for power and strength or to eliminate pain to eliminate pain, increase energy, reduce body fat or achieve overall body health. 4) The choices for weight loss and corrective exercises are confusing. We sift through it all and separate fact from fiction. We explain why specific movements will work for you and while others will not. Approaches will differ from person to person. 5) We’ll contact you no matter what. Even if it’s just to tell you (gently and honestly) that we are not the right specialists for you. If this is the case, we are happy to refer you. 6) We specialize in unique and unusual situations that many trainers won’t touch or don’t have the knowledge to manage. 7) You’ll experience the unmatched 360-degree approach. Meeting one-on-one is 10% of the program. We will address your lifestyle, daily habits, including nutrition and movements or activities (sitting, sleeping, workout routine, daily behaviors) that might contribute to movement dysfunctions, pain, and wear and tear. 8) We support you like no one else! 24/7 support via our “Look, Learn, Do” newsletters, video movement analysis, personal movement or corrective programs, membership access to more 60 workout videos, indoor and outdoor programs, dining out strategies, more then 100 recipe ideas, and a cleansing program followed by a individualized nutrition program are all designed to help and support you in reaching your goals. 9) Stay ahead of the curve. We are proud of our knowledge and strive to study human anatomy, its functions, and neurological development. We design stabilization strategies to improve high-end strategies for your movement method (which will be determined after phase 1). We are 20 years ahead in our training approaches that prevent wear, tear, and stress on your system. 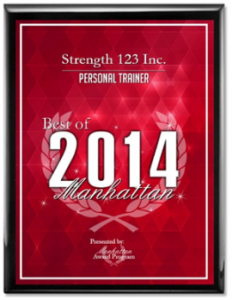 Enrolling in one of Strength 123’s programs is a commitment to changing your body. You’ll benefit from the latest research and our openness to listening. Whether you consider yourself out of shape, in shape, or are a professional athlete, this program will take your health and movement efficiency to a level you have never experienced. Our commitment to you is simple. Bring us a willingness to change, to listen, and stay open minded. We will give you everything you need to become shockingly strong, lean, fit, and healthy. We provide Integrative Movement Solutions and Naturopathic education for natural weight loss, strength, pain relief, and effective movement efficiency for your fitness routine. Our program helps stops wear and tear and addresses the results of injuries. Our typical clients are individuals. They are successful, out-of-the-box thinkers who expect top-notch service. Some are out of shape. Some are in shape. Some are in pain and have tried other forms of therapy, weight loss, or fitness programs without success. All are looking for a complete, integrative solution for their diet, exercise, and lifestyle coaching to achieve weight loss, strength, or eliminate pain. We are not personal trainers. We are not nutritionists. We are Integrative Movement Specialist ™. As an Integrative Movement Specialists we specialize in understanding dysfunctional movement patterns and inefficient eating patterns and nutrition. After a full movement analysis, we design a corrective movement program followed by a strength training program. Combined with a naturopathic nutrition program, we optimize stabilization strategies, weight loss, and healing inflammations in case of injuries or pain. GET ENROLLED, GET ACCEPTED, AND GET STARTED. “I have spend almost 25 years of my life in Europe and the United States studying kinesiology and physiology, including human movement and the mechanical and psychological mechanisms of how organisms (organs, cells) use chemical or physical functions within a living system. I have witnessed first-hand how frustrating and uninspiring many are when they follow an exercise method for weight loss, movement efficiency, or pain management regime that doesn’t work. I began questioning knowledge and started to reach out to front-runners in research in both motilities. This research led me to a knowledge of simplicity that accomplishes results without the wear and the tear of repeated movements and without increasing stress on your systems including your endocrine, muscular, skeletal, digestive, nervous, or visceral systems. Research has helped me move ahead and understand what should happen in 20 years in our industry. This is why I build Strength 123 and the associates’ training programs. The time is over of pushing yourself so hard that you are in pain the next day and can’t move. You can’t train like an athlete if you sit in an office chair all day long without addressing the structural implications that have altered your movements. Our body is a body of intelligence. We appreciate this and work with it. We teach you how to respect your systems and work with them to achieve results that a general gym membership or coaching program will never achieve. With our approach, our clients consistently lose unwanted body fat, improve movement efficiency, lose weight naturally, and eliminate chronic pain in as little as 5 hours of personalized sessions, suggestions, and advice. The results are amazing! Movements become fun. Bodies are strong and leaner. Your life will be a joy when you eliminate pain. Your energy will skyrocket, and you will gain the happiness so many lack. Don’t be held back from experiencing 360-degree life satisfaction. My programs have been featured in many publications, including Fitness, Shape, More, Cosmopolitan, Woman’s Day, First Woman, The New York Times, the New York Sun, and Forbes online. I currently contribute to ABCnews.com, television’s CW11 – The Morning News Show, and The Huffington Post. “When I came for our first consultation I was in pain and every part of my body seemed to ache. I was unable to stand properly, to walk without compensating for the pain in my hips, or to even stand straight without the middle of my back sending painful charges up and down my spine. After a thorough and careful examination you pinpointed all of the issues/misalignments/shifts and explained to me what is happening in my body that is causing so much discomfort. Towards the end of the first session I learned the proper breathing techniques, which in turn alleviated some of the shortness of breath issues I’ve experienced for over a year. Soon enough I began I was walking free of pain in my hips, my neck and my shoulders and learned how to realign my body if pain returned. Every session was filled with valuable information, custom-tailored to my physical and physiological needs and abilities. This personal and highly researched approach helped me gain strength gradually without overwhelming my system. I am now able to run longer, coordinate my breathing, understand proper alignment, which muscle groups are supposed to activate during a given exercise and how to structure an effective work-out routine. Thanks to you and your Integrated Movement Therapy program I now have a much better understanding of how certain foods affect metabolism and how to structure my nutritional intake to best achieve my wellness goals. This has been a wonderful, rewarding and intense learning experience that could NOT have been possible with any other specialist. In fact, I am not sure there are people who possess this level of knowledge and experience. I write this as I finish a (small) salad of wild arugula, wild tomatoes, anise, almonds, lemon juice and balsamic vinegar, because now I know how important enzymes are! Five ankle operations after a horse riding accident 15 years ago left me with little flexibility and quite a lot of pain in my right ankle. As a competing athlete (track and cross country runner) I was always very active and planned to continue maintaining performance and body. Unfortunately because of the accident, I was unable to do this and I lost muscle tone and much of my endurance. About as year ago I started working with the Strength 123 “ Integrative Movement Therapy” program by Stefan Aschan. When training as an athlete, we were told how to do it. Stefan’s program took me beyond the basics into connecting the how and why, which we had not been taught back then. This has allowed me to get back into an active lifestyle without injuring myself and improving my performance. I now know how to stabilize and move correctly, using strength and basic movement patterns that I had lost, right from day one. We have built up core strength, retrained and re-conditioned both body and mind, paying special attention to muscle usage, correct posture and balance. The changes in my diet and a new exercise regime, advised by Stefan, has changed my life, as well as reducing body fat from 24.5% to 20.0%. I never thought that I would be able to exercise any where near to my old level, but have been proven wrong. At the moment, alongside two personal training sessions, I run 10 miles and cycle 30 miles every week. Still going strong. In 2007, I injured my back severely. I wasn’t able to sit with out pain, socialize at a dinner table, or sit comfortably while driving a car. It was difficult to tie my shoes and painful to pick up my newborn baby. I was fearful that I wouldn’t be able to breastfeed my baby or even hold her for more than a few minutes. I was terrified that my back pain would not improve and that I wouldn’t be able to properly care for my daughter as she grew. I saw many different doctors, including neurologists, a pain management specialist, a chiropractor, and even an acupuncturist. I also tried two different physical therapists. I tried all the treatments the doctors advised and went to months of physical therapy, but nothing helped. One of the neurologists urged me to work with a personal trainer before considering back surgery. Then I met Stefan. It only took a few minutes of conversation for me to decide to work with him. Not only does he understood all my medical issues, he is also extremely knowledgeable about nutrition and fitness. In fact, he knows much more than any of the physical therapists! His approach is novel, but grounded in current scientific data. In addition, he is easy to talk with, both friendly and outgoing. Three months later, my back pain has decreased dramatically from level 7 to level 1. I can complete any common daily living task. I can carry my 22 pound child all day long. I have my own pain free life back. Because of the Strength 123 program, I am no longer worried that I cannot care for my child. I feel energized and empowered. I am confident and happy. The reduction of fat tissue was just a by-product and not a focus of mine. Yet, I went from 24.90% to 19% body fat. All my friends ask what I eat and how I work out. They too want to be a size 4! The nutritional program, Mental Detox, changed my way of eating and it showed. I have more energy, sleep better and feel great about myself. It is time to start playing sports again. I am looking forward to signing up for a Zogsports volleyball team with my husband. Without Stefan’s help and his Strength 123 program I would not be able to give my baby the care she deserves and would not be able to enjoy holding her and playing with her. I needed help. I had gained almost 20 lbs because of my intense travel schedule and feeling out of control with my eating habits. Exercise did not exist as traveling and my intense work schedule took my energy. In short, I was in a downward spiral and needed to get out of it. Stefan’s programs, the Strength 123 and Mental Detox program, helped me to lose 19 lbs in 8 weeks. Yet, this was not the only benefit that I have experienced. I changed my attitude from “no, I can’t” to “yes, I can do it”. I feel confident and in control. I have more energy. The best part of Stefan’s programs are, that they are feasible and I can do them anywhere. This has worked for me and I am confident that it will work for you. I broke my Clavicle in March and had surgery at Hospital for Special Surgery to fix 8 days later. I started Physical Therapy 2 weeks after that, and after 4 weeks, my surgeon diagnosed me with a “frozen shoulder”. This was “one of these things “that nobody really knows why they happen” he said, and proceeded to prescribe me 4 weeks of aggressive physical therapy and a prescription for Vicadin. Having spoken to Stefan about Integrated Movement therapy, I decided to try something less invasive. After working with Stefan virtually pain free for 5 weeks. I was able to play volleyball and sleep comfortably on my “broken” side. I think the fundamental difference between what I got from Physical Therapy and with Stefan is that I found the Physical Therapy was focused on fixing my shoulder, whereas the Integrated Movement approach was concerned not just with fixing my shoulder, the concern was for fixing my shoulder through the work with the rest of my body….Stefan maintains a constant focus on reversing decades of bad posture habit affecting my entire body, all the time, “releasing” the blocks in my shoulder and elsewhere to increase my strength. Stefan makes what can be an unpleasant process fun and entertaining, yet at no time does he ease up. Over the course of my treatment, I experienced pain greater than level 3 only once, and that was about level 8 for about 15 seconds before the pain released to below 3. Stefan is highly knowledgeable and has great skill in observing the areas of my body that need releasing and realigning. I can recommend him highly to anybody that is in recovery from surgery or just had too many operations and wants to try something else that is not invasive but understands and works with the body of intelligence. Click HERE to be accepted for a consultation and measurement analysis to enroll in one of our programs! Or call our office at 212 750 3696.